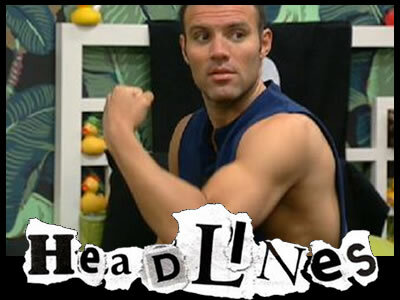 Big Brother 11 House guest. Best known for throwing her microphone in the pool and storming off the show. Yesterday was the official 3 month mark until BIG BROTHER 13 starts and man are we pumped this year. Theres so many cool new things happening at OBB for all us Big Brother Feed fans I wish I had a Delorean and 1.21 gigawatts. The BB13 casting calls have begun and more are still being released every day. Today 2 more were announced in Los Angeles and Oklahoma, Check out he BB13 Casting call Calendar it’s got all the times, locations and maps to the Open Casting calls. Another big thing on the horison is the Reality Rocks Expo, April 9-10 at the Los Angeles convention centre. Big Brother 11 Spoilers – Jeff asks Jordan if she wants to win…. Because if she does than please listen to him this week.